Welcome to the final volume of Seven Deadly Sins, A YA Anthology! This is a continuation of our traditional introduction to the authors and staff members. The release date for the seventh volume, Lust, is January 9, 2019! Luke Spooner, a.k.a. ‘Carrion House’ and ‘Hoodwink House,’ currently lives and works in the South of England. Having graduated from the University of Portsmouth with a first class degree, he is now a full-time illustrator and writer for just about any project that piques his interest. Despite regular forays into children’s books and fairy tales, for which he has won awards for literary and artistic merit, his true love is anything macabre, melancholy, or dark in nature and essence. He believes that the job of putting someone else’s words into a visual form, to accompany and support their text, is a massive responsibility as well as being something he truly treasures. Luke has designed every cover for the Seven Deadly Sins series. He can be found on Facebook, and at his Carrion House and Hoodwink House websites. 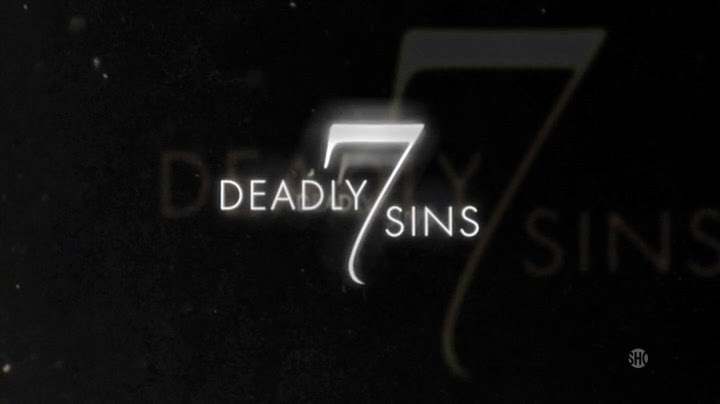 As well as a contributor to Seven Deadly Sins, Katie Stephens is also senior copy editor of the entire series. Once a professional student, she holds a plethora of degrees under her belt–two of which include Master’s in Music and English. A retired music resource teacher and band director from Maryland, she has written K-12 curriculum, treatises on classroom management, and was a key contributor to several grant-writing projects. A member of the Scribophile writing community, she runs contests to elicit submissions from the YA Authors group and uses an amazing contingency of professionals to pick the best possible works for each volume. While her novels are still unpublished, the quality of Mari L. Yates’ writing has been widely recognized: she was a finalist in James Patterson’s Co-Author competition hosted by Masterclass in 2017 with her thriller, ‘Windows to the Soul’, and in 2014, she made it to the to the quarter-final round of Amazon’s Breakthrough Novelist contest with her fantasy, ‘End of Order’. She is committed to the craft, having ‘won’ NaNoWriMo each year since 2013. When not writing, Mari likes to read, go bowling, take pictures of her cats, or spend time outdoors with her family. Mari is a wiz at social media, specifically Twitter, and she happily accepted the important marketing job for Seven Deadly Sins. Edward Reese is a creative writing teacher from Cincinnati, Ohio, gathering many ideas from his very imaginative high school students. He has yet to capitalize on his threat to commandeer their writing, and it’s only his highly touted ethics that hold him back. When he retires in 14 years, if he hasn’t received a disclaimer of copyright from his ex-students, he assumes all bets are off. Susan Ward is a 21-year-old college student, attending Miami University in Oxford, OH. She is majoring in Business with a minor in Creative Writing, someday hoping to re-write some of the extremely boring professor-required-reading books. Susan loves to immerse herself in Young Adult books when she’s not studying, and is currently enamored of anything by Robin Benway. As with all the Seven Deadly Sins, there’s a fine line between want and take. Will you be able to control your unbridled desires or are you destined to suffer the consequences as you act out every impulse? K.T. Stephens writes YA and children’s books and works as editor, publisher, and author on her pet project—Seven Deadly Sins, A YA Anthology. 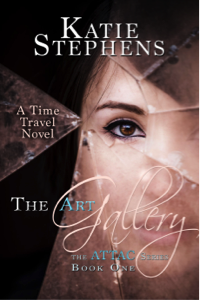 She also pens adult literature under the pseudonym Katie Stephens. K.T. moved with her husband and two adorably obsessive felines from the green rolling hills of Ohio to New Mexico, where the sun shines an astonishing 330 days out of the year. Her financial investments now include suntan lotion and dark glasses. Creative genius Nelson Cajigas has a bit of a problem with women—they all hate him. When it comes to music performance, visual arts, and creative writing, there isn’t one person in the city who can match him. Attempting to fit in with his peers turns out to be an exhausting, daily exercise in futility. Unfortunately, a short, thin, hormonal fourteen-year-old with a great imagination and at the cusp of puberty has a tendency to create his own set of problems. Elle Turpitt has always preferred spending time in fictional realities over the real one. These are sometimes of her own creation. After studying Creative Writing at the University of Hull, she returned home to South Wales. When not writing, she is often immersed in TV, films, video games or books. Her first published piece was in Seven Deadly Sins: a YA Anthology: Wrath, her second in Avarice. She also has a short story in Fantasia Divinity’s anthology, Out Of Your Shadow, and she is absolutely thrilled to again be appearing in a Seven Deadly Sins anthology. After moving to a new town, Nina quickly befriends her next-door neighbour, Maggie. The high school is a good feeding ground for those who feed on desire, but Nina doesn’t like Liam, who seems intent on dating Maggie. Still, his party is an even better chance for Nina to feed, and she’s not about to turn up without her best friend. Robert Walton is a retired middle school teacher and a lifelong rock climber with many ascents in the Sierras and Pinnacles National Park, his home crags. His writing about climbing has appeared in the Sierra Club’s Ascent. Robert’s publishing credits include works of science fiction, fantasy and poetry. He also worked as a newspaper columnist for a time. His historical novel, Dawn Drums, won the 2014 New Mexico Book Awards Tony Hillerman Prize for best fiction, first place in the 2014 Arizona Authors competition, and first place in the historical fiction category of the 2017 Readers Choice Awards. Most recently, his short story “Do You Feel Lucky Punk?” won a prize in the 2018 Bartleby Snopes dialog only contest. Tortured by his adored one’s rejection, young Adono tumbles into a lowlife bar near the harbor. Barkeep Tickler Tom is there to serve him spirits—raw. The Wiz is there to serve him love potions—raw. He underestimates the potency of both and suffers consequences: cascading consequences. Daniel I. Weaver has been writing fiction for almost two decades near Pittsburgh, Pennsylvania. A father of three plus two German shepherd rescues, Dan spends the majority of his day working as an executive at a large health plan while secretly pining to spend that time crafting some new adventure. His fiction has previously been published in various anthologies and quarterly magazines including Light at the Edge of Darkness (2007); Dragons, Knights, and Angels Volume 46 (2007); Seven Deadly Sins: Gluttony (2017); Seven Deadly Sins: Wrath (2017); and Seven Deadly Sins: Avarice (2018). The things that lurk in the Wolveswood will steal your soul. Old wives’ tale or warning, truth lies at the heart of every myth. When the luster of the Wolveswood comes calling, two young lads looking to claim their manhood venture into the forbidden forest, unprepared for what they’ll find. Mari L. Yates wrote her first story in kindergarten. From then on, Mari knew she wanted to be a writer. Having recently gone back to school, she writes whenever and wherever she can. She’s currently working on editing her first mystery/thriller novel and writing a fantasy novel. When not found with a book, camera, or laptop in her hands, she loves to read, cuddle with her two cats, watch movies, and play video games. After killing Aestavell’s queen, puissant witch Nostrea, finds herself fleeing for her life. Hunted by Cerdreq, the dragon she once held prisoner with her magic, she seeks a way to turn his strength to her advantage. Will she end up as a meal for the vengeance-seeking drake, or will she adopt a new set of skills? I’d like to encourage you to purchase any volume of this anthology, because we will donate the proceeds to First Book! Please stop by their website to see what you can do to help. Soon, you can pre-order the eBook on Amazon and order a print copy after the release. Please consider posting a review on Amazon or Goodreads. C.P. Mulé grew up yards from the Delaware River, where Washington crossed the frozen body to defeat the Hessians. Mulé would watch the water meander along, as he dreamt of making his mark on his country, which began so close to home. He has played the part of the fool many times, when he has had the time to step away from the pretty view. He’ll play the part again, no doubt, but so what? For those he has always loved, Mulé has taken off his mask and put on his glasses, with the smell of coffee beans itching his nose. His work has also been published in Seven Deadly Sins: a YA Anthology: Wrath & Avarice. He is honored to appear in the Seven Deadly Sins Anthology again with his third published work Dottie’s Gift. As Mr. Glover’s grandmother departs for an otherworldly place, she ever so kindly leaves her kin a keepsake in a cryptic ability to read people’s emotions. Not in quite the way one might expect. Travel to Pennsbury High School with Jimmy as he joins forces with friends and family to discover what being human is all about. Sean O’Brian earns his bread creating educational resources and worksheets for an online publisher. This can be creative and rewarding once all the boxes have been ticked and the various exam boards have had their say. When not hunched over his laptop, Sean loves to explore abandoned mining villages or photograph the sea as it breaks against the Cornish coast. Macedon stands at a crossroads between indifferent Greeks to the south and an invincible Persian army approaching from the east. The Persians expect tribute, demanding silver and the wealth of Macedon in exchange for peace. A wise ruler should pay their price, but if they take everything you own, that means you have nothing left to lose. The Persians just stepped over the line. Yvette O’Kay is a writing goddess that has been creating stories ever since she was a little girl. She is from upstate New York and has been featured in five previous volumes of Seven Deadly Sins: A YA Anthology: Sloth, Envy, Gluttony, Wrath, and Avarice. The distinction between love and lust can be blurred at times and when that line is blurred, that’s when she comes to claim what she wants. She has existed since the dawn of time and has the patience to obtain what she wants. These humans forget what is lurking in the shadows until it comes for them. Yesterday, I asked what Lust means to you. Have you had an epiphany yet? It’s always good to take time to reflect–to meditate–on who you are. Open your eyes to your inner self. Discovery is good for the soul. But it’s not so much what you discover that defines you, as what you do with that knowledge. Sara Hills writes fiction for both teens and adults. She grew up in southern Arizona, dancing in the monsoon rains and making jam out of cactus fruits, before moving to several US states and Switzerland. Sara currently lives in the heart of England with her family, cursing the unbidden rain and growing cacti in her conservatory. When she’s not teaching or knitting woolen body armor, Sara can be found chasing down her dreams and her giant goldendoodle puppy. Sixteen-year-old Dallas Jones has never been kissed. When the other teen counselors vote to break curfew and play Seven Minutes in Heaven, Dallas is pressured to join in. But what will happen when the boy finds out he’s stuck in a dark closet with the fattest girl at summer camp? Sonora Hills is a writer and scientist living in the North of England. Having spent her life travelling through space with a total of three countries and seventeen houses under her belt, she also travels through time with a stack of manuscripts spanning from medieval fantasy to futuristic dystopian. When not writing novels or dreaming of getting one published, Sonora likes to make things, cuddle animals, climb trees, sing, and run behavioural experiments on her fish. Chris Kennedy writes for fun and enjoys twisting history into parables. His family tells him he’s a compulsive liar because he likes to make things up. He spends his days working for a modern communications company and his evenings looking ahead to the day when he can pack it in and focus on his research, making up more lies and yet more stories for this excellent series. What happens when the smartest kid in school wants to impress his dream girl and she doesn’t even know he exists? Frank has enough trouble telling fantasy from illusion. He thinks he’s living the dream, going all out to win over the gorgeous Ana—even if it’s the last thing he ever does! Tonia Markou is a Greek-German writer and teacher based in Germany. Refusing to grow up, she enjoys getting lost in writing and reading fiction for young adults. Her short stories have appeared in Flash and the Seven Deadly Sins, A YA Anthology: Envy, Gluttony, Wrath and Avarice. When she’s not traveling or getting into her characters‘ heads, she collects Converse, stationery, mugs, and pajamas—not necessarily in that order. Nathaniel finds out that his late grandfather had a big secret, one Nathaniel himself now has to guard if he wants to be next in line as a Nuitmayer, a hunter of the supernatural. Will the mysterious and handsome Adriel help him cope with his new role or is he more interested in tasting Nathaniel’s blood? How would you define Lust? Specifically as an emotion opposite of Love? Or perhaps as a desire so strong, nothing else can come in the way? We often hear the terms, “Lust for life” or “Lust for adventure” or even “Lust for power.” Is Lust, then, a sin, or an ambition? What is Lust to you? Soon, you’ll be able to pre-order the eBook on Amazon and order a print copy after the release. Please consider posting a review on Amazon or Goodreads. Kyra Dusk lives by the belief that words are magic. She taught English for a year in the beautiful country of Japan before returning home to Houston, Texas. When she’s not glued to her laptop, devouring book candy, or traveling to inspiring places around the world, she teaches reading/language arts to third graders. Wanderlust is never far from her thoughts, and another move may be imminent as her adventure wish list grows longer every day. Moth is a teenage necromancer with a gift for blood magic. When a beautiful monster promises to fulfill her darkest fantasies, she’s faced with a tough decision. Should she give in to temptation and endanger her family, or banish the creature she believes to be her soulmate? Moth can’t have it both ways, and she needs to choose before her Angel of Carnage follows through on the promise of the scars he gave her six years ago. Shauna Ivory Evans is always writing, whether she’s traveling abroad or grabbing a cup of coffee. When not spending time in made up worlds (her own and others), she teaches Special Education Language Arts in middle school. She lives in New Jersey with her husband and two cats. This marks her first print publication. One of these days, she’ll finish that novel she’s been working on. Johnston Wicker has loved Winston Broome from the first moment he saw her, but she finds him insufferably annoying. Unexpectedly transferred to a parallel world of fantasy together, old feelings come into question as new challenges arise. When Winston wanders into his tent in the middle of the night, Johnston is left wondering what she could possibly want from him on what may be their last night alive. J. Grabarek lives in San Francisco with her twin girls and a husband willing to listen to her yammer on about her writing in exchange for half of her hot fudge sundaes. Thankfully, all of that talk—and the sacrifice of her favorite food group—has resulted in stories decent enough to publish in the Seven Deadly Sins Anthology, Wrathand in the final book of the series, Lust. At an end of year high school party, Mia meets Jeremy, a poet, a romantic. When he kisses her after stealing a bottle of wine, she has to acknowledge two things: He’s a thief and she can’t keep herself away from him. With Jeremy stuck on her mind, and the worry about a pregnancy, the path toward an answer is as prickly as the desert surrounding his jail. Sarah Hegerty is a speculative fiction writer, shift-worker, wife, mum, and adventure seeker who just wants some sleep. Living in sunny Queensland, Australia, she spends her time fantasising about snow-covered mountains in cooler climates. 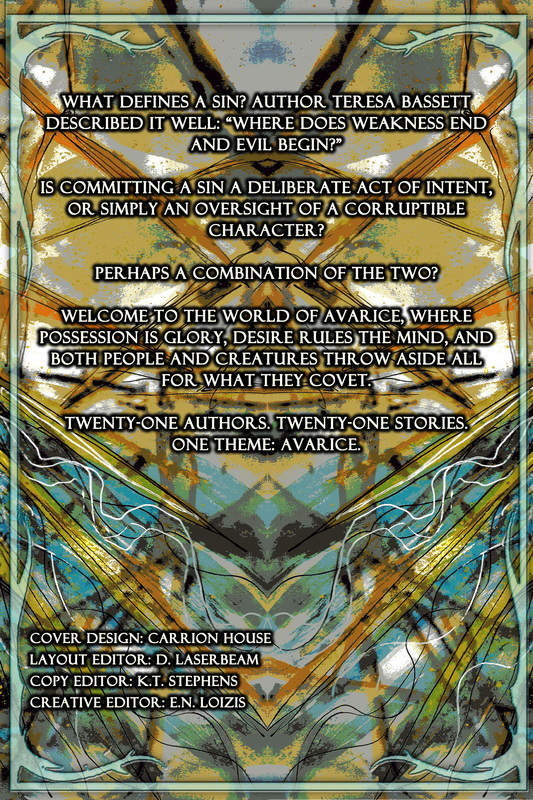 Her short story “Playing The System” has been published in Seven Deadly Sins Anthology, Avariceedition. She is also currently hard at work editing her first novel, a young-adult post-apocalyptic fantasy. Ash wants Amy, so bad. But having never spoken to her, she doesn’t know he exists. Plus, she has a boyfriend. His best friend, Steve, makes a bet with him—that he can’t get Amy to kiss him by summer break. It’s intended as a friendly shove to get Ash to talk to Amy, but will Ash take the bet too far? Whereas the other six deadly sins offer a gratification that one must fight to deny, Lust originates with agony, doubt, and fear of rejection. But Lust can take many forms; it’s hard to tell whether the craving will be for love, control, or money. One thing is certain: Lust can both frustrate and delight. Twenty-one authors. Twenty-one stories. One theme: Lust. This is the final volume of our Seven Deadly Sins series. It’s time for another volume of Seven Deadly Sins, A YA Anthology! This is Day One of our traditional introduction to the authors and their stories. Teresa Bassett lives in a house she helped to build, on former tin mining land in Cornwall, UK. She is proud to be included in each of the previous volumes of Seven Deadly Sins: A YA Anthology, and her debut novel “The Time Crystals” is due to be published in 2018 by Books to Treasure. A graduate of the University of Bath, she has worked as a foreign tour guide, translator, and teacher. She shares her life with husband Mark, retired greyhound Jinty and feisty cockatiel Lucy. When not writing, she loves gardening, foraging, walking—in fact, anything connected with nature and wildlife. All boys are the same, aren’t they? Only after one thing. That’s what Linda’s friend Gina thinks, anyway, and she’s determined to give as good as she gets. But now she has set her sights on gorgeous Max, who’s already in a happy relationship, and Linda is horrified by her friend’s apparent lack of morals. Can she change Gina’s mind, or will she be forced to stand by and watch while her friend causes misery and heartbreak? Mae Baum grew up among the snow and birch trees of upstate New York, but now makes her home in the urban jungle of Atlanta with her husband, daughter, and two cats. Always to be found with her nose in a book, she enjoys exploring fantastical worlds and now loves making up her own. As the most popular girl in school, Tabitha wants to break up with her high school boyfriend and go to college, guilt free. Wallflower Lexi wants a taste of the popularity she’s never had. But when Lexi finds herself enjoying her newfound popularity, how far will she go to keep it? Susan Conner is a writer and artist from Phoenix, Arizona. She recently gathered up her dogs, cats, and magic wands to move to her family’s abandoned homestead ranch in Montana. In between renovating a 1920’s farmhouse, exploring the land, rescuing strays, and adapting to the white stuff that falls from the sky, she paints, draws, bakes, cans, and writes novels for adults and young adults alike. 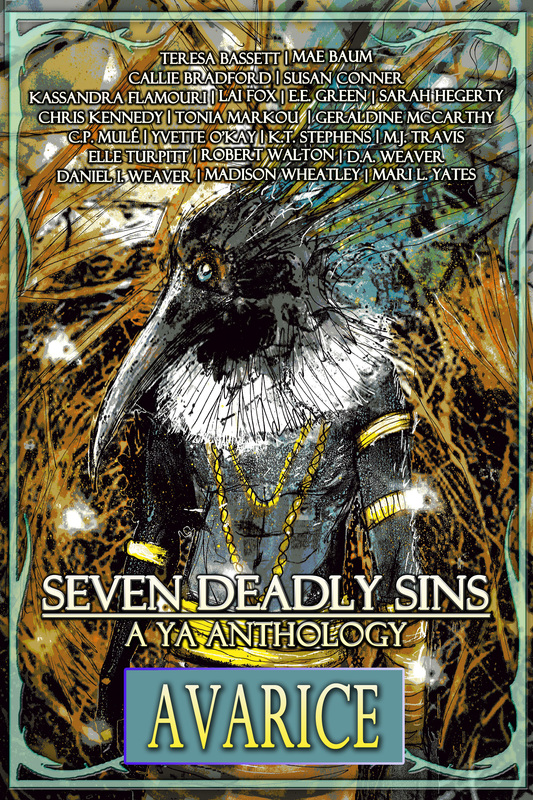 She’s giddier than a flock of giggling magpies to once again be included in this Seven Deadly Sins anthology. Adhira, an experienced actress in her town’s community theatre, knows how to play the lover’s part. Kissing is no big deal, and all her leading men have been completely forgettable. Until Tony. Now she can’t forget the feel of his lips on hers. Why is kissing him so different? Is it love, or is it lust? Matthew Dewar hails from Perth, Australia, where he works as a physiotherapist and group fitness instructor. In his spare time, Matthew enjoys writing fiction, reading, and keeping his dog entertained. Matt’s writing has appeared in several anthologies, and his first book, Nightmare Stories, is available now. George loves playing with himself—a little too much. When the doctor tells him he needs to keep his hands off for a few days, George has to obey or suffer the consequences. The cover for the seventh volume of Seven Deadly Sins, A YA Anthology has been released! Many thanks to our cover designer, Luke Spooner of Carrion House. We’re very excited to finally get to the last volume of this Young Adult series. But it’s not over yet! Sometime in late summer 2019, we’re planning to release all the volumes in a box set! Keep an eye out for pre-ordering through Amazon. The release date for this amazing young adult anthology is January 9, 2019 (coincidentally, my birthday!). Follow my website for more information about the authors of Lust and the release of this volume. 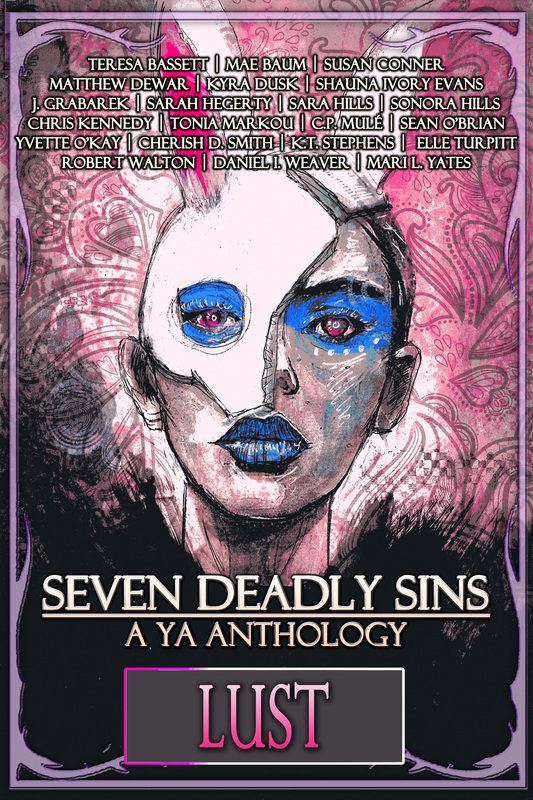 Welcome to another volume of Seven Deadly Sins, A YA Anthology! This is a continuation of our traditional introduction to the authors and staff members. As well as a contributor to Seven Deadly Sins, K.T. Stephens is also senior copy editor of the entire series. Once a professional student, she holds a plethora of degrees under her belt–two of which include Master’s in Music and English. A retired music resource teacher and band director from a Maryland public school district, she has written K-12 curriculum, treatises on classroom management, and was a key contributor to several grant-writing projects. A member of the Scribophile writing community, she runs contests to elicit submissions from the YA Authors group and uses an amazing contingency of professionals to pick the best possible works for each volume. E.N. Loizis is a Greek writer, trapped inside the body of a technical translator who lives in Germany. She writes poems, flash fiction and short stories, while pretending to work on her first novel. Her stories have appeared in Maudlin House, freeze frame fiction, and Ember: A Journal of Luminous Things. Her stories have been published in the Pride and Envy volumes of Seven Deadly Sins. She enjoys breathing, eating, and sleeping. Edward Reese is a creative writing teacher from Cincinnati, Ohio, gathering many ideas from his very imaginative high school students. He has yet to capitalize on his threat to commandeer their writing, and it’s only his highly touted ethics that hold him back. When he retires in 15 years, if he hasn’t received a disclaimer of copyright from his ex-students, he assumes all bets are off. Susan Ward is a 20-year-old college student, attending Miami University in Oxford, OH. She is majoring in Business with a minor in Creative Writing, someday hoping to re-write some of the extremely boring professor-required-reading books. Susan loves to immerse herself in Young Adult books when she’s not studying, and is currently enamored of anything by Robin Benway.